SIRIN LABS (https://sirinlabs.com/) is proud to officially launch today the highly anticipated FINNEY™, becoming the world’s first premier, ultra-secure blockchain smartphone that runs SIRIN OS™, priced at $999. FINNEY™ will offer its users a truly mobile blockchain experience, complete with an embedded cold storage crypto wallet, combined with state of the art mobile technology and design. SIRIN LABS is also looking for strategic OEMs to implement SIRIN OS™ in additional consumer devices. SIRIN LABS will open two flagship concept stores first in London (December 2018) and later in Tokyo (January 2019). The London store will also function as a blockchain academy for our community, and any blockchain-curious audience. Pre-sale is now open for SRN token holders on SIRIN LABS website for those who want to have their FINNEY shipped first. Later on SIRIN LABS website will offer additional channels of payments, including credit card. FINNEY will also be available to purchase on Amazon Launchpad from January. SIRIN LABS first announced its plan to create and manufacture the world's first blockchain smartphone in September 2017 with the vision to bridge the gap between the mass market and the blockchain economy. In December of 2017, the company signed football star Leo Messi as its brand ambassador and subsequently completed a successful ICO to advance into the manufacturing and production phase. Earlier this year SIRIN LABS chose electric giant FIH Mobile (Foxconn International Holding) to lead the manufacturing of FINNEY with SIRIN LABS leading the development of the cold storage wallet hardware, and its own operating system: SIRIN OS™. SIRIN OS dCENTER is an integral part of SIRIN OS™ and offers a marketplace for DApps (decentralized applications) as well as an incentivised learning center. The dCENTER’s Learn & Earn option is the first crypto and blockchain education ecosystem that offers incentivized learning for blockchain projects all over the world. Our launching partners offer incentives when users interact with their projects, which means every FINNEY owner is entitled to receive value back on the phone. The dCenter, based on Web 3.0 protocol, offers: App and in-app purchasing, Air drop mechanism, DApp browser, and more. Rates are determined by collecting token’s market value across multiple major liquidity providers, that will then provide users with the most competitive rate automatically. Ethereum and Bitcoin blockchain networks congestion levels define the speed of a transaction. SIRIN OS algorithm will calculate the optimal network fee to offer in order to provide the best speed at the lowest rate. In addition to state-of-the art technology and cyber protection, FINNEY also offers the highest level of modern and expressive design. The phone is framed with high gloss metal, mirror polished Aluminium, and has 3D Gorilla Glass on both the posterior and anterior of the device. These are accompanied by the metallic signature Shield Element surrounding the camera, sensors, and fingerprint scanner. The unique sliding design of the Safe Screen is FINNEY’s strongest feature, and operates as the gateway to the crypto world by activating the cold storage wallet. Functioning on dedicated hardware and software, The Safe Screen’s separate power switch is how users will be able to access their wallet. The Safe Screen is also able to allow users to independently verify that FINNEY™ wallet transactions include the correct amount, the correct currency, and are being sent to the correct address. Thereby enabling users to verify that they’re not being tricked by malware or hackers looking to steal and send their cryptocurrencies or tokens to a fraudulent third party. SIRIN LABS is developing the FINNEY™-- the premier open source, ultra-secure blockchain smartphone with an embedded cold storage crypto wallet. Our vision is to bridge the gap between the blockchain economy and the mass market by solving the two greatest barriers to the crypto market: lack of both security and user experience. 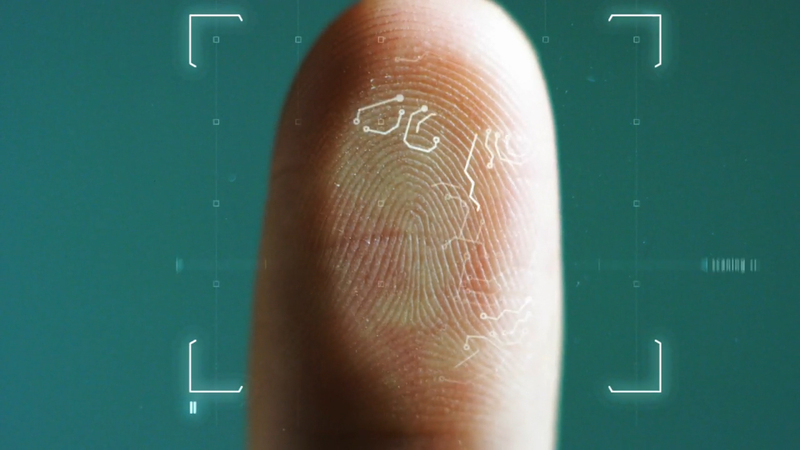 After concluding one of the largest ICOs in history (with over $157.8 million contributed), and through the experience gained from the production of the first SIRIN LABS phone, the SOLARIN™ (a phone globally recognized as one of the most secure in the world), SIRIN LABS has paved the way for the technological advances we are able to bring forth in FINNEY™. 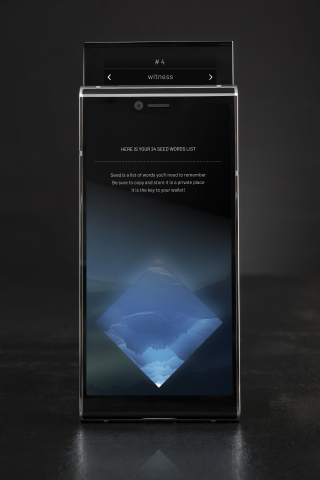 FINNEY™ will be running the SIRIN OS™, a Google-certified modification of Android, featuring SIRIN LABS’ proprietary cyber protection suite, wallet functionality, dCENTER (DApp store), and Token Conversion Service. SIRIN LABS has already established strategic partnerships with industry leaders like Cardano and FIH (Foxconn International Holdings-- makers of the iPhone, Xbox, and Kindle), and has signed on the world's greatest footballer, FC Barcelona’s Leo Messi, as official global brand ambassador for SIRIN OS™. Joining Messi as brand ambassador is the middleweight boxing champion, Gennady Golovkin, AKA “Triple G,” who is promoting the FINNEY™ Blockchain smartphone.